In the 21st-century the definition of sustainability goes well beyond the traditional view of a systems ability to survive. Today, it refers to the need to develop sustainability necessary for the survival of both the human race and the planet as two interdependent entities. Sustainability is best defined as a methodology whereby we replace what we use to ensure the continuance of our activities. In caring about our ability to continue forward, we also give back to the system that provides its resources to us. The United Nation’s 1987 “Report of the World Commission on Environment and Development: Our Common Future” noted that sustainable development meets the needs of the present without compromising the viability of future generations. Our ever-increasing demand for the energy and materials that power our growth has imposed enormous financial and physical costs on our world. The challenge going forward is to address this in a manner that not only corrects the previous path but sets a new course for our future. As leaders in the field of habitat creation, we all have a responsibility to help plot this course. 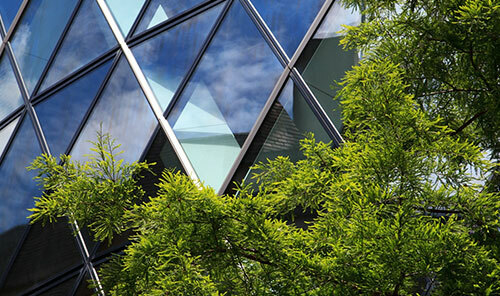 Today, no aspect of a building is left untouched in the drive for improved efficiencies and reduced environmental impact. The design of a building and the selection of materials for its construction, establishes the foundation of our relationship with the built world. 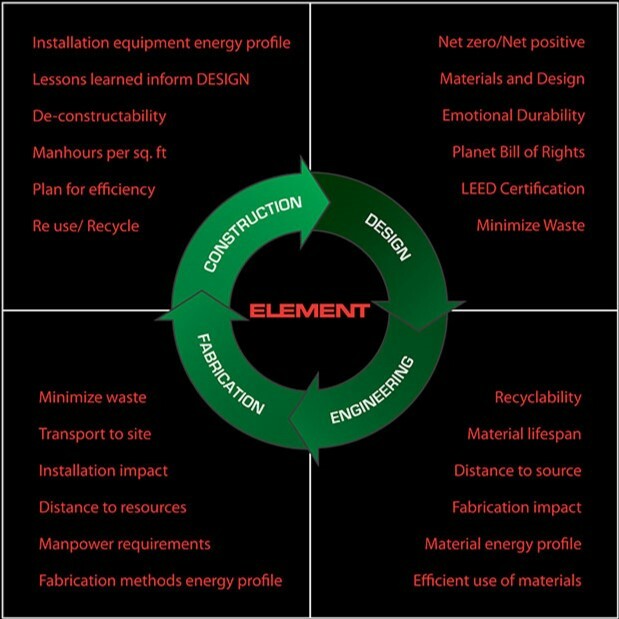 The intention of sustainable design as it relates to architecture and construction, is to reduce all environmental impacts of the Design and Construction process as well as ensuring that the ongoing performance of a building or environment throughout its life cycle continues to provide benefits. The authors of building design emphasize maximizing efficiency, minimizing waste and ensuring the replacement of resources for future generations. Of primary concern to the Architectural and Construction communities is our use of resources as we continue to build ever larger and more sophisticated habitats for our growing population. Old models of consumption and our historical approach to the worlds’ finite resources will not support a growing population. If we wish to continue to enjoy the benefits of the worlds’ resources, we need a new approach to how we build. From the placement of a building on its site through selection of the materials, equipment and systems required to construct a building, recognition of the need to minimize the negative aspects of construction remains paramount. ELEMENT has welcomed the new philosophy of responsible use of resources and the efficient use of energy. We employ long-term practices that do more to respect the environment, the well-being of our Customers, employees and the prospects of future generations. Here at ELEMENT we take the selection and use of raw materials very seriously. We strive to use as little of a resource as possible to achieve a set goal. 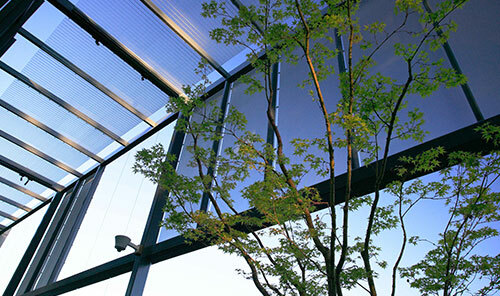 We select materials and fabrication technologies that comply with the needs of the future as well as the present. By evaluating materials and technologies for their lifespan, replacement cost, usability and sustainability, we help provide the greatest value to the building owner. ELEMENT welcomes opportunities to work in a collaborative manner with other industry leaders in developing new and innovative ways of expanding the concepts of sustainability and efficiency, in the Construction industry. The changes resulting from the adoption of the Leadership in Energy and Environmental Design (LEED) Green Building Rating System are reductions in energy consumption, minimized waste and improved sustainability across all building disciplines. At the same time, these benefits have contributed to improving the value of buildings to current and future owners and occupants. Modern buildings place far fewer demands on infrastructure and offer a better return on investment than ever before. 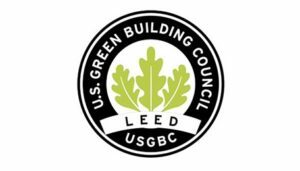 ELEMENT assists and supports the Design and Construction communities in the design and construction of Gold and Silver LEED certified buildings. 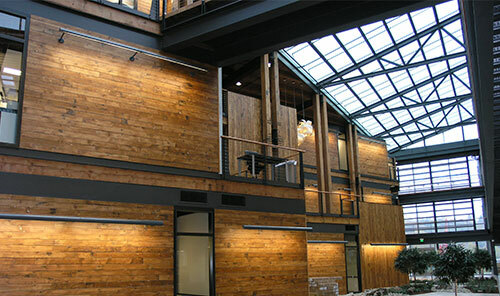 We excel in LEED certification areas such as optimizing energy performance, the use of renewable resources, and efficient material and fabrication technologies that minimize waste and maximize yield.